What is Hoteles de barrio? A Group of Boutique Hotels located in different colonies of Mexico City belong to #hotelesdebarrio. Every detail of each of these properties is designed to make these places intimate, exquisite and comfortable environments, creating spaces worthy of being your own home. We are proud of our style, mixing elements of modern and ancient design, offering beautiful corners where to spend quality time during your visit in CDMX. The group #hotelesdebarrio, guarantees a new concept of travel, with the best personalized attention, warm and unparalleled experience. We promote gastronomy, art, culture, design and local sustainability. What is the type of architecture that defines our “barrios“? Beyond being the seat of political, economic and religious power in Mexico, as well as being a space where the indigenous and viceregal past mix, with almost five centuries of history, it is also the place where the people of Mexico come together or demonstrations and important historical events have taken place. 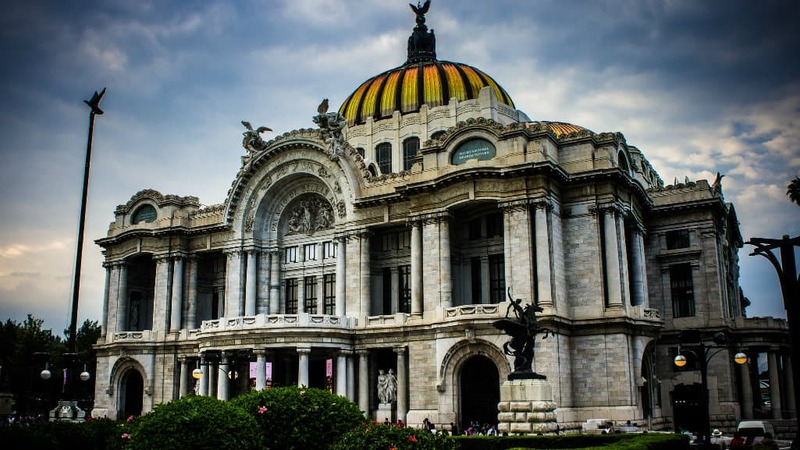 Mexico City, the summit of the largest number of architectural designs that are considered World Heritage according to UNESCO, germinates in the field of public design in the Porfirian era, when General Diaz decided to launch the country towards first world modernity through the imposing buildings of the great Palace of Fine Arts, the Postal Palace, the Communications Office and the new National Theater. These designs made by foreign minds gave a vision of the European 20th century to Mexico that barely held the reins of its new identity. The majesty of these beautiful works is highlighted worldwide by its revival elements that take up compositions of the old romantic, neogothic and neoclassicist architecture that was happening on the other side of the globe. 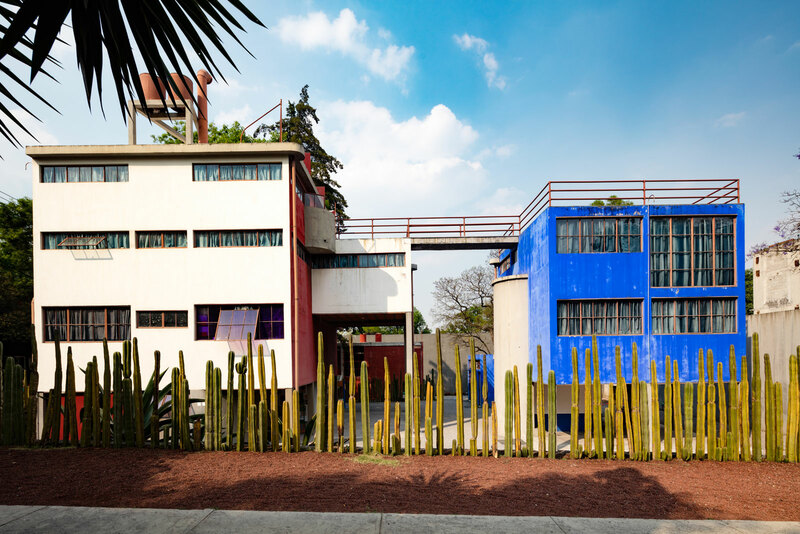 But it is not until 1925 when it begins to talk about a true theory of modern Mexican architecture. Emerged in the post-revolutionary era, the Mexican architects who took a role in this era shifted their thoughts to the concept of functionalism, whose goal was not the art of artistic construction, but the end of the needs that the country required with respect to basic works urban The first Mexican architects were born of this social neglect in the so-called first modernity, where the presence of Juan O’Gorman, creator of the study house of Diego Rivera and Frida Kahlo, and the intervention with mosaics of the mural of the Central Library stand out. of the National Autonomous University of Mexico, as well as José Villagrán, director of the National School of Architecture, now the School of Architecture of the UNAM. From this time, the colonial style of the city ceased to be important to open the way to the new decorative art that was engendered in Paris: art deco. Mexico obtained a marked influence of this current, with the construction of lots and housing units that were characterized by their decorative artistic elements in architecture and the fusion with Mexican folk art represented in the mosaics of walls and floors as a new sign of elegance. At some point this term became synonymous with “modernity”, a concept that the city was interested in acquiring, taking all kinds of artistic proposals for the consolidation of buildings, plazas, colonies and monuments that aesthetically combine the Mexican tradition and the avant-garde. Notable example is the Monument to the Revolution, which combines prehispanic architecture with this current. The déco was also reflected in monuments such as the pergola of Parque México. Many of the buildings that are built in Colonia Roma correspond to the eclecticism that took elements of the architecture of each period to carry out a construction. There are also examples of the architecture of the Belle Époque and of art nouveau and, to a lesser extent, of the art deco, and of the neocolonial architecture originated in response to the previous ones. The National Institute of Fine Arts (INBA) wishes to process the declaration of Colonia Roma as a Zone of Artistic Monuments. If the procedure is successful, it would be the first time that a declaration was issued in the country to protect an urban perimeter with relevant aesthetic value, built in the 20th century. In the National Institute of Fine Arts (INBA) it registers and reviews the requests to modify, reconstruct or demolish cataloged buildings and houses. It is, in most cases, thanks to the private initiative that many of the jewels of the colony have been recovered and restored and have become icons of the classic and the current. Examples of this are the Balmori Building and the El Parián commercial passage, which at some point was thought to be demolished. It is believed that this story begins in 1890, when the Porfirian houses were built. But the foundation of this colony dates back to 1845, when a group of architects from the San Carlos Academy was called to build their own houses in an area comprised of eight blocks: the Colony of Architects. The extension that took place years later, towards the ranches of the surroundings, derived in the construction of the mansions that were inhabited by the privileged class of the porfiriato. To make an architectural route in San Rafael it is essential to distinguish these two moments: in the first one (1845), the eight blocks are traced in the El Cebollón ranch. Although the construction phase was interrupted by the American occupation of 1847, it was resumed around 1850, when the great mansions of the powerful families of the time were built. On the street Sadi Carnot, from the corner with Alfonso Herrera to reach Ribera de San Cosme, there are a series of magnificent Porfirian houses that are currently used as schools, convents and offices. It is worth paying attention to the house Azurmendi (now Anglo Spanish Institute, Sadi Carnot 44) and Williams College (Sadi Carnot 33), art nouveau style. During its origin, the neighborhood was only urbanized in its eastern part, which explains why the oldest constructions that are conserved are located in that direction. Here large mansions and mansions were built, which are samples of the eclectic and Art Nouveau architecture in the city. As already mentioned, along the promenade were located large mansions and villa-type mansions surrounded by an immense garden given the spaciousness of the land, while in the other properties some mansions and smaller houses were built, but keeping the same idea since the dimension of land areas was intended for that purpose. At one time, the project to build large mansions and chalets surrounded by seen gardens was being lost, so it was ordered that residents who had a garden of at least five years be exempt from the property tax. eight meters in front of their mansions.3 Of the sumptuous houses built in them, the remaining examples are counted, while other examples of the architecture of the time are preserved from the other buildings. 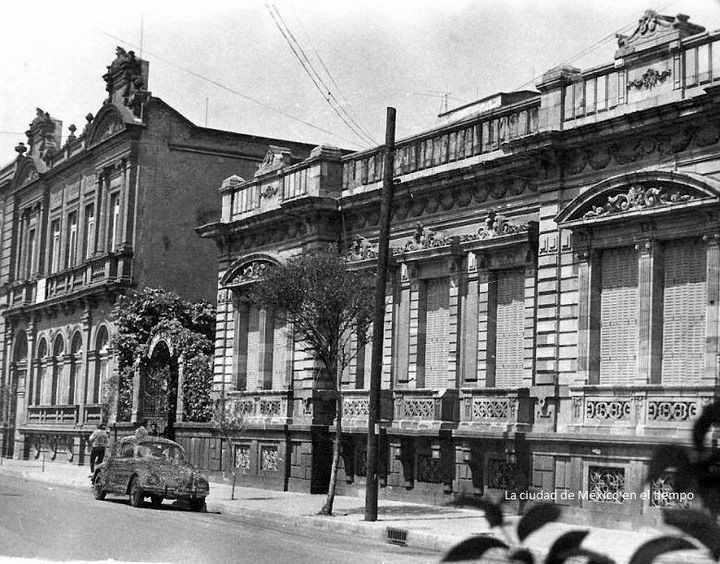 Example of the previous thing is the property located in the Street of Rio Lerma number 35, that outside property of the family of last name Stampa and that will inhabit the President Venustiano Carranza by a period of 6 months, 5 which works at the moment like the House Museum Carranza During the post-revolutionary period that the country lived, marked by an economic growth in the middle of the first half of the 20th century, the western part of the Colony began to be populated. Then arise some houses built in Art Deco architecture, which then gave way to the Californian and Neocolonial Colonial style, very fashionable at that time. By the end of the decade of the 40’s, some buildings with a functionalist style began to be built, especially those destined to departments, characterized by the simplicity they present in the decoration. They also begin to build office buildings, especially along the Paseo de la Reforma, which is where they erected real skyscrapers and corporate offices, samples of contemporary architecture in the city.